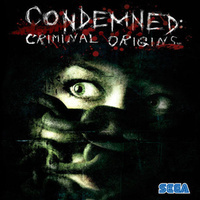 Retro Review – Condemned Criminal Origins: Did the Crows Stop Calling? Condemned: Criminal Origins has a lot of great influences with the biggest three being Twin Peaks, Silence of the Lambs, and Seven. That’s quite a big platter to pull from but let me just start by saying that they grabbed the best from each of the plates and seasoned it with their own ingredients as well. Condemned is a special game in what it manages to achieve, especially considering it was a launch title and still managed to not only influence the horror genre but remain relevant even to this day. I want you to ask yourself what other launch titles there were on 360. Okay, are you done? Okay, now how many of those still hold up well other than maybe looking a little rough graphically? Exactly. Call of Duty 2 and Condemned are the only games from the 360’s launch that can still blow me away to this day. Condemned manages to do so many incredible things and that’s precisely why I replay it at least once every year. Condemned opens with a pretty unnerving intro that serves the usual purposes of opening credits while featuring a cinematic and creepy feel at the same time. I find this fitting because the game itself has a cinematic feel. I feel as though I’m plunged into this world and in an immersive movie. Once the credits finish a car is seen pulling up to a crime scene that you and your partner need to investigate. This gives you a good chance to not only get acclimated to the atmosphere and feel of the game but also the controls. It’s a fitting tutorial that became sort of the model for many other games last generation when showing the player around. Condemned built them into the intro so that while you’re learning about the character, you are also able to learn how to maneuver around their world as them. You end up encountering your first murderer, being framed for the death of an officer, and losing trust with your employer all within a matter of the first twenty minutes of the game. It’s from then on that you’re on the run from almost every single person you come in contact with. This is the world of Condemned and you won’t feel safe until the credits start rolling, and even then you’ll be reaching for the lights. There’s a great story awaiting you and it’s split up into chapters, which may feel a bit weird but hear me out on this one. Condemned has chapters to help keep the story organized into a nice digestible format and it pays off and very well at that. Locations and story segments are split up nicely so that you can stop at good and natural stopping points. There’s usually a good stopping point or two within chapters in case life pulls you away but, if you’re able to, play this game at least a chapter at a time. I wouldn’t dare ruin the story for anyone who hasn’t played it but I also don’t want to overhype it. There’s a good story here and while the ride may be better overall than the conclusion itself, it still has a good ending. In fact, the only sour taste I have in my mouth is the sequel not living up to anywhere near my expectations. That’s a story for another day of course but this game is a wild ride that is great start to finish. For now, I recommend the sequel but just know it’s got absolutely nothing on the series debut. The story has twists and turns and if you’ve seen Silence of the Lambs, Seven, and/or Twin Peaks then this will not only feel right at home but you’ll want to leave immediately. This time you are in control and you have to keep moving. The story may not be perfect but it’s a great story overall that definitely left me thinking and wondering for days after I finished the conclusion. This is psychological horror blended beautifully with a creepy atmosphere that stalks you just like those being hunted by the evil within the game. This world feels like it’s crawling and chasing you the entire time. My hat goes off to Monolith Productions for all that they were able to achieve and so early in the Xbox 360’s life span. We would get other games later that were also heavy on atmosphere but this was not only the first but also one of the best. This world just surrounds you and pulls you completely in. It may be a bit rough graphically but for being eleven years old it still looks pretty good and the graphics are certainly never a problem by any means. You can always identify everything you’re looking at and, in all honesty, I still think the graphics look pretty good. The voice acting and sound design go above and beyond to contribute to the experience. The sound design here is just spot on and if you’ve got surround sound then you’ll definitely be checking to make sure your door is locked before too long. You can feel the tension and fear that will just creep around every corner and behind every shadow. The atmosphere here is 150% on point and a large part of the reason why this game has held up so well. The combat feels very satisfying and is a huge part of what makes this game so fun. It feels intense and responsive all at the same time. This is something that I think many games fail at when trying to touch on the tension the protagonist is feeling. It’s satisfying and immersive to feel the shaky uneasiness that the protagonist feels but it’s another thing to play a broken game when a developer tries and fails to communicate this poorly. I’m looking at you ZombiU and I still haven’t forgiven you. Anyway, Condemned completely succeeds in pulling this off. You can feel what Ethan feels while also feeling in control. Missing targets and clunky controls may make you feel scared but it also causes a huge disconnect and breaks down the barriers in connecting players to games. I can assure you that you won’t find any of that here. You’ll only find satisfying and responsive melee controls as you block, swing, punch, and shoot your way through the twisting and sprawling levels this game has to offer. Enemies are smart and will move around to dodge attacks while also attacking you relentlessly. They’re simply referred to as addicts by the characters in the game and whatever they’re on it’s not good for you. Their energy and wits match their relentlessness. They will react to their environment and have no problem running and grabbing a different weapon if you manage to pick theirs up if it falls. It’s creepy and effective fighting these formidable foes. You’ll be fighting with whatever you can find as well because other than a taser you’re unarmed. Since you’re being pursued by your former employer and considered a criminal, you’ll be receiving no assistance from them and that includes weapons. There will be times you’ll pick up a firearm that you happen to find but you’re limited to whatever bullets it comes with. That’s right, this is not first person shooter. When you happen to find a gun you’ll feel like Master Chief … for about nine bullets. Then you’re back to being Ethan and wielding a 2×4 or an electrical conduit. Weapons all have pros and cons to them and the game does a great job of letting you know immediately when you come across them. It will tell you each weapon’s damage, speed, block and reach and how it compares to your equipped weapon. This may sound odd but this removes the thought process of “How good is this weapon?” so you can quickly make a decision and move on. This also will cause you to make some careful decisions and prevent you from being too powerful. There will be times you can wield an ax which is nice in terms of power but a major downside in terms of speed. You can dispel enemies extremely quickly if you manage to block and attack well but it’s extremely tricky because of how long it takes you to actually use the ax. Its main purpose is breaking down barriers that stand in your way, like a boarded up door. This is nice because it adds to the vulnerability and realism that someone would experience in real life. Not every door is just going to open for you, whether you’ve got a crazed killer chasing you with a crowbar or not. I found myself quickly getting rid of the ax once I didn’t need it anymore. The game is also great at throwing an enemy or two your way when you need to have the ax equipped as well. Since you can only carry one weapon at a time the developer has complete control over the tension by knowing when you’ll have to be limited due to the level design. There’s a very nice balance to the combat and the different weapons you’ll find along the way. Crime scenes are always a lot of fun and help add to the immersion and looming suspense. You’ll end up using forensic tools here to find more information on your suspect, their potential motive, and their whereabouts. The game automatically selects the correct tool and I’m personally okay with this because it removes potential fumbling and just keeps you in the moment. This was a complaint for some gamers at launch but it doesn’t really remove anything and only serves to keep the immersion high while maintaining the flow of the game. I really enjoyed these segments and you’re kidding yourself if you think these sections are less intense because the information you learn will raise the hair on your neck while also getting you back into the action before you know it. This game is a eerie and creepy masterpiece despite a few of its flaws. Graphically, it may look a bit rough here and there but it still looks pretty good, all things considered. My only other major gripes are the story’s conclusion not feeling as atmospheric and powerful as the rest of the game. This doesn’t really hurt things too much because what’s here is still great but the ride just soars above and beyond what the ending provides. The sequel has nothing to do with this game’s analysis and review but I still feel obligated to let anyone considering popping it in after this game’s conclusion that it doesn’t come close to this game. This game is wonderful though and I’m hoping the movie does happen someday because I want everyone to experience this game, whether they’re gamers or not because this ride has to be experienced. My only other issue with the game is the Xbox 360 systems that lay scattered across levels for you to find for achievements. Now I understand that this is, of course, when achievements were new but I still find it a bit too fourth wall breaking to have an Xbox 360 just sitting on a table for me to interact with. Keep in mind, this game’s focus is its characters, its story, and the journey in front of you. Pressing ‘A’ in front of a video game system may be kind of silly but it just shatters the immersion that is built every step of the way. Don’t worry though – you’ll fall right back in once you’re hit in the head with a crowbar by an addict. Condemned: Criminal Origins is a wonderful game that I truly think all gamers should experience. If you don’t like playing games like this then consider watching a friend or spouse play through it so you can still experience most of what this game has to offer. There isn’t too much lost in the translation if you’re just spectating and you’ll still reap the benefits of this eerie and creepy tale surrounded by mystery and suspense. My wife watched me play through as this genre is not one she enjoys playing due to the tension and she loved it almost as much as I did. Condemned (as of this writing) is available digitally on Xbox 360 and Steam and well worth your time. If you want a thick manual and interesting box art too though, then this game can be had for much less. I usually see physical copies go for about four or five bucks just due to the age of the title. Either way, it’s absolutely worth your time! Condemned is creepy and immersive and just as relevant to the psychological horror genre today as it was eleven years ago. Condemned: Criminal Origins is one of my favorite games and despite its issues, I think it should be experienced by all gamers. I’ll likely be replaying it again soon and I like to live tweet while I’m gaming so make sure to follow me @Mrjoshnichols on my battles against addicts, murderers, and the horrors that haunt Ethan. We’ve got plenty of other spooky and scary retro reviews on the way so make sure to keep it right here at BagoGames for those and much, much more! I've been playing games since I can remember. I enjoy almost every genre with my favorites definitely being RPGs, platformers, shooters, and narrative focused games like Gone Home. My favorite game's Bioshock but it's closely followed by Super Mario Bros. 3, Knights of the Old Republic II, Crash Bandicoot 2, and Metroid Zero Mission.